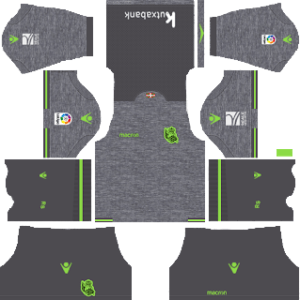 In this article, you can find and download Dream League Soccer (DLS) Real Sociedad Kits and Logos 2018, 2019 Edition with URLs. Real Sociedad is a Spanish club in the city of San Sebastián. Anoeta is their stadium in which they play the home fixture. Real Sociedad has won the La Liga title 2 times. One in 1980–81 and the other in 1981–82. The club has also won their domestic trophy Copa del Rey twice. The La Real is a very strong side, who make things difficult for their opponent. Players like Xabi Alonso and Antoine Griezmann were former players of Real Sociedad. The club helped them develop their abilities and mindset to achieve success. Xabi and Antoine both have won the FIFA World Cup with their countries. In dream league soccer 2018, you can play with any team’s kit. You can explore our website for other kits to try. 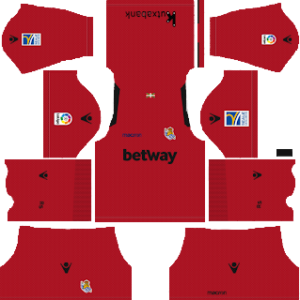 We are providing kits for the Real Sociedad fans to download the home and away kits and logo. You can download the Dream League Soccer Real Sociedad kits from the below URLs. You can use this kits in DLS by clicking the URL to download the Real Sociedad home kit 2018-2019. You can use this kits in DLS by clicking the URL to download the Real Sociedad away kit 2018-2019. 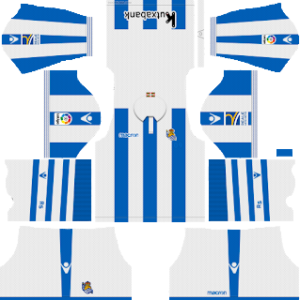 You can use this kits in DLS by clicking the URL to download the Real Sociedad Goalkeeper’s home kit 2018-2019. 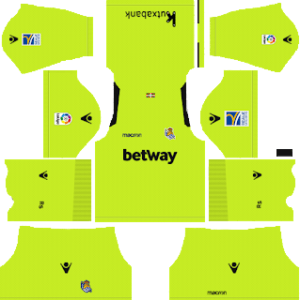 You can use this kits in DLS by clicking the URL to download the Real Sociedad Goalkeeper’s away kit 2018-2019. You can use this Logo in DLS by clicking the URL to download Real Sociedad Logo 2018 – 2019.